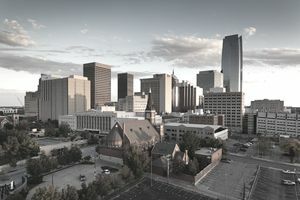 One part of Oklahoma’s landlord-tenant law that both landlords and tenants are very interested in involves the security deposit. Both sides want to know their rights, including how much a landlord can collect and the reasons a landlord can keep a tenant’s deposit. Here are seven basic rules landlords and tenants must follow in Oklahoma. Storing the Deposit - In an Escrow Account. No Interest Required. No. In the state of Oklahoma, there is no maximum amount a landlord can charge a tenant as a security deposit. Although, you should always check with your local city or town to determine if additional rules may apply in your area. In the state of Oklahoma, landlords must place tenants’ security deposits in an escrow account. This account must be in a financial institution in the State of Oklahoma that is federally insured. The account does not have to earn interest. If a landlord in Oklahoma attempts to use a tenant’s security deposit for his or her personal use, he or she could face up to six months in jail and a fine of up to two times the amount that was misused. No. In Oklahoma, a landlord does not have to let a tenant know in writing that he or she has received the tenant's security deposit. What Are Reasons You Can Keep the Deposit? No. In Oklahoma, landlords do not have to perform a walk-through inspection prior to tenant move-out. When Must You Return the Deposit? In Oklahoma, after a tenant moves out, he or she has six months to request the return of the security deposit. The landlord has 30 days after this request to return the tenant’s security deposit. If the tenant does not make a request for their security deposit within this six month period, the security deposit becomes the property of the landlord and the tenant has no further claim to it. The deposit must be sent by the landlord by mail with return receipt requested, to the last known address of the tenant. If a landlord has made deductions from a tenant’s security deposit, the landlord must include a written itemized statement when returning any portion of the security deposit that is owed to the tenant. This statement must include the deductions that have been taken from the deposit and an approximate cost of repair. If a landlord in the state of Oklahoma wrongfully withholds any portion of a tenant’s security deposit, the tenant could be awarded up to the full amount wrongfully withheld. What Happens to the Security Deposit If You Sell the Property? Transfer the tenants’ security deposits to the new owner of the property. The landlord must also notify the tenants in writing of the name and address of the new owner. Or return all security deposits directly to the tenants. The landlord should then notify the new owner of the property that he or she has returned all security deposits directly to the tenants. What Is Oklahoma's Security Deposit Law?